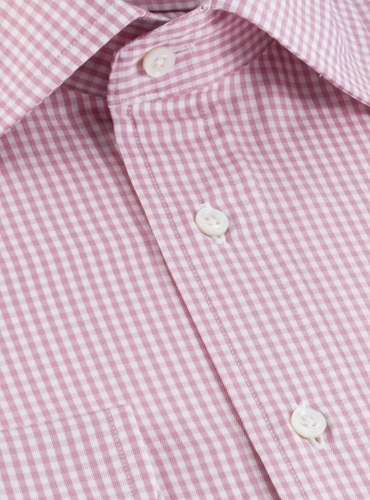 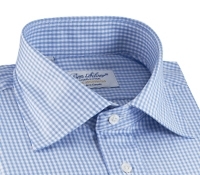 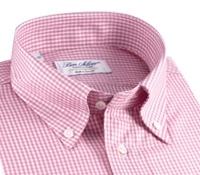 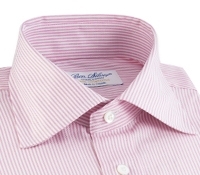 Our small check spread collar shirts are cut from the finest 2-ply 120’s thread count Swiss cotton. 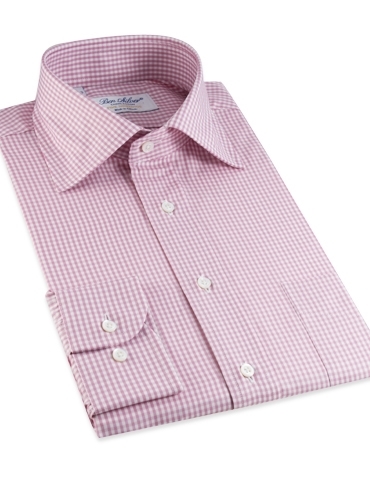 The blue version has been a special favorite, and now we are pleased to add a rich pink option in a full range of sizes. 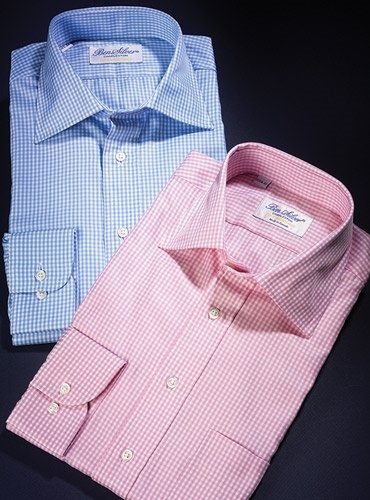 Available in: 736-blue; 737-pink.